It's been almost a year since I posted my skincare routine so it's high time I did an update. Not much has changed though. If I like a product I stick to it and I find it hard to try new things because I fear I may not like them. Last Christmas I finished my Dramatically Different Moisturizing Lotion (also known as Clinique's Step 3) and decided to try something new since it made my forehead and nose oily after a few hours. Being a teacher I only get one bathroom break a day so I need my make-up to last the whole day in place. I don't have time for retouches and I don't want to worry about it either. When you apply it on your skin you feel instantly refreshed. It's oil free and lightweight, therefore skin doesn't get oily at all. It kind of works as a primer since the HydroBlur Technology moisturizes while softly blurring imperfections. In other words, it creates a canvas to apply your foundation. 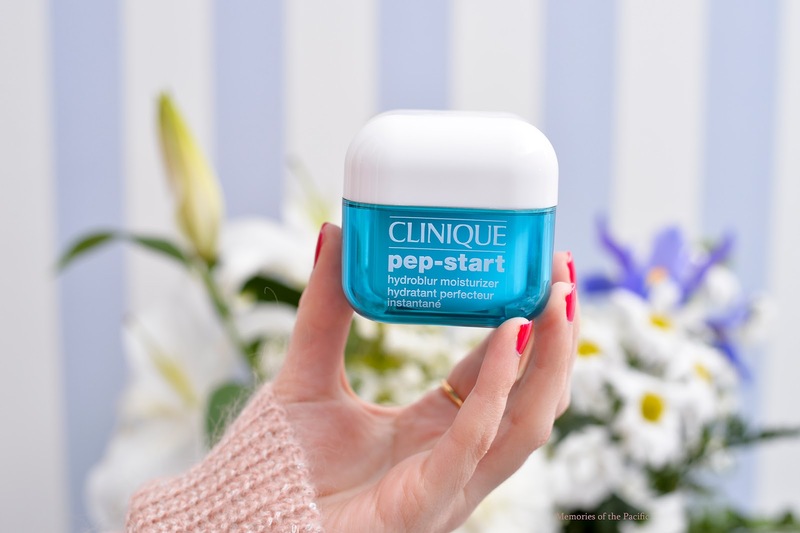 Clinique has different versions of the same moisturizers depending on your skin type but they say that this one works for all types. My skin is more on the dry side although the T-zone can get a little oily at the end of the day but as I stated before, it works for me. So I will surely continue to use it in the future. The next Clinique product I'm going to try is the Pep-Start 2 in 1 exfoliating cleanser. I've been told is a great travel companion. Since it's two products in one, it makes your toiletries bag a little less heavy and your skincare routine faster. I don't know about you but when I travel I'm so tired at the end of the day that the last thing I want is to spend a long time preparing for bed. In my opinion this product is worth a try. 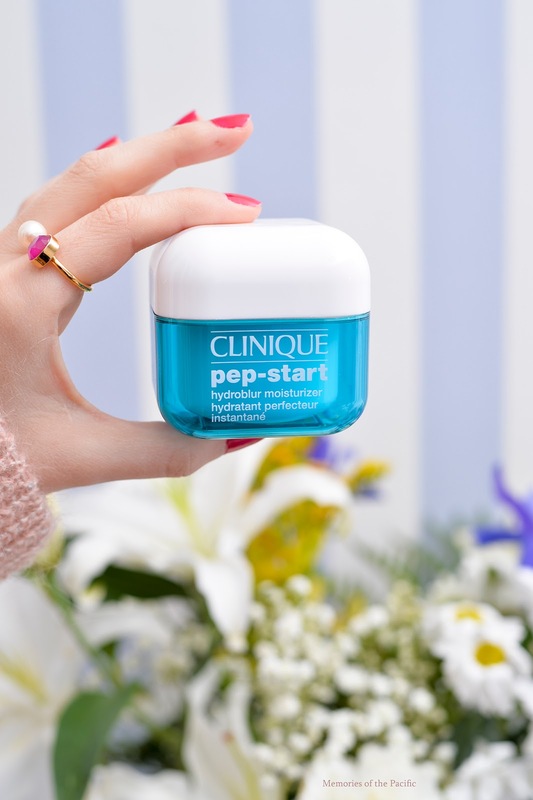 Have you tried any of the Pep-Start products? Are you as crazy about Clinique as I am? I was looking into this moisturizer, thanks so much for reviewing it! Anything hydrating is good for me! I will be checking this out. I do use cliniques body moisturiser which I highly recommend. One bathroom break a day!! No fair! This sounds amazing, having the word hydroblur in the name has me sold! I've always been a fan of Clinique's products. I'll check it out! Wow this sounds amazing! It's so good when you have a product on and you don't need to worry about it - it gives you such confidence right? So glad to hear that this product works! Must try it! This looks like a nice moisturiser from Clinique. I had a pimple reaction with their other mosituriser but this one looks different, maybe worth a try. love this! thanks for sharing love! Great review. This sounds like a product I should give a try! Thanks so much for linking up with Fabulous Friday.